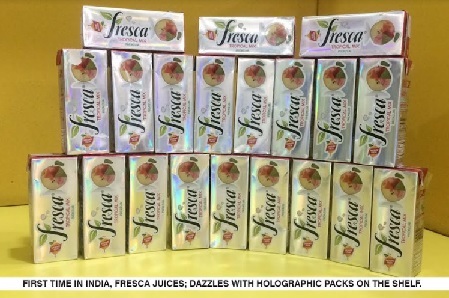 Ashwani K Sharma, President & CEO, Uflex Ltd. added on the launch, “We knew that the new holographic packaging ”Asepto Spark” will do wonders for Fresca as a brand, it’s heartening to know that on the first day of launch itself Fresca has received such massive order book. Now the impact is visible and many leading brands are looking to convert to Asepto Holographic packs. I strongly believe that this is just the beginning and Indian consumers are not only going to get the taste of a great juice but also Asepto Spark “the holographic packaging” going to excite and ignite the market on the whole."